I've experienced a torrent of memories since my Mom's recent passing. Images of celebrations, special places, and travels keep flashing before me. 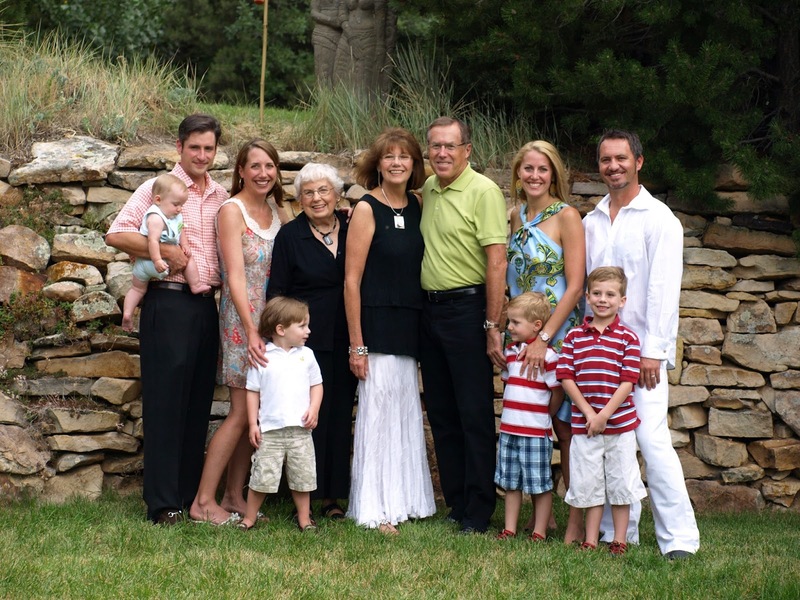 "Gigi" as she was affectionately called by her grandchildren and great-grandchildren truly loved being with all of her family. 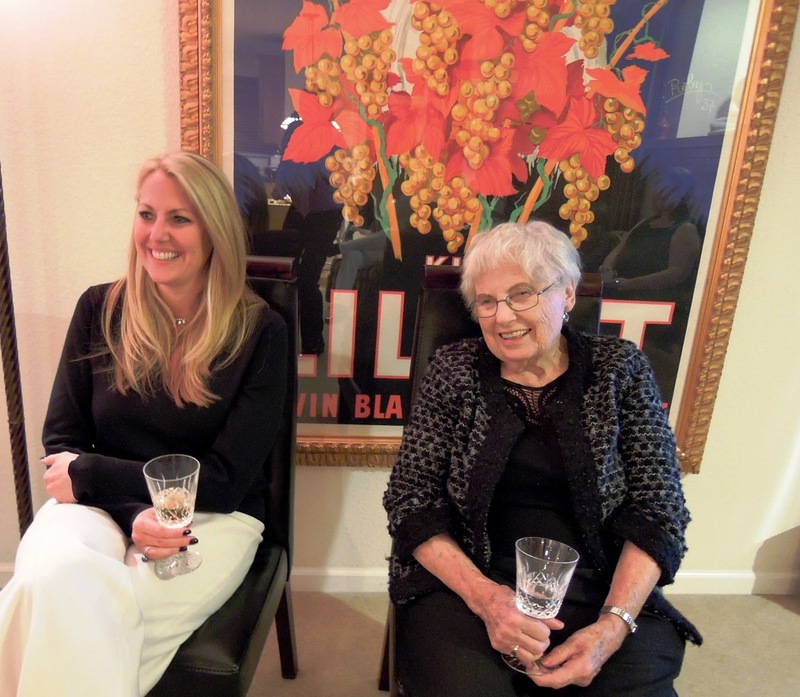 I've including treasured pictures in a celebration of life for "Gigi." She loved her boys! 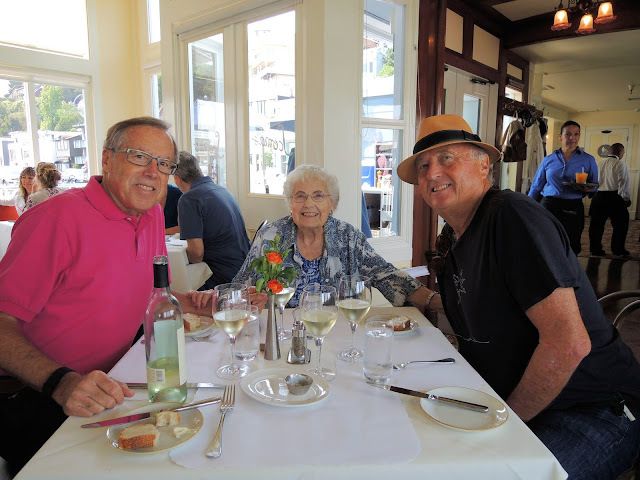 Scoma's in Sausalito was one of her favorites. Dancing with my Mom back in the day. She adored family gatherings. Love the "face-off" between Vaughan and Logan. My Mom and Dad on the left with aunt Shirley and my uncle Beebe at a restaurant in Orinda. We had a big gathering of family at her home in Pleasant Hill 5 years ago. My nephew Steven, above our daughter Lisa, came from Edinburgh and my niece Suzanne, on the right, traveled from the island of Guernsey in the Channel Islands. They are the children of my sister Patty who married her penpal and moved to Guernsey. Stacy in the middle was pregnant with twins. My sister Patty on the left with baby Suzanne on a visit to see Mom in California. Marla with our daughter Lisa. 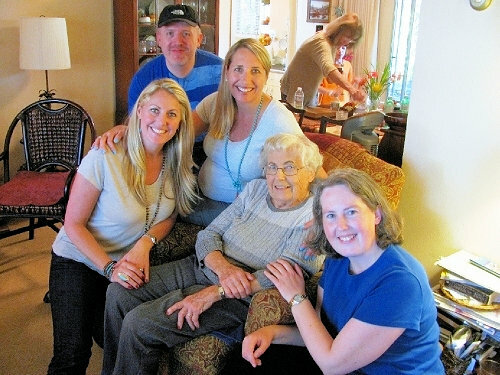 Mom dearly loved visiting Patty's family in Guernsey. 2015 family party at our home in Denver. This is one of the sweetest pictures! Mom is joyfully watching the twins play with their Barbie Dream House last Christmas here in Denver. What a trooper to fly from California independently at 98 years old! 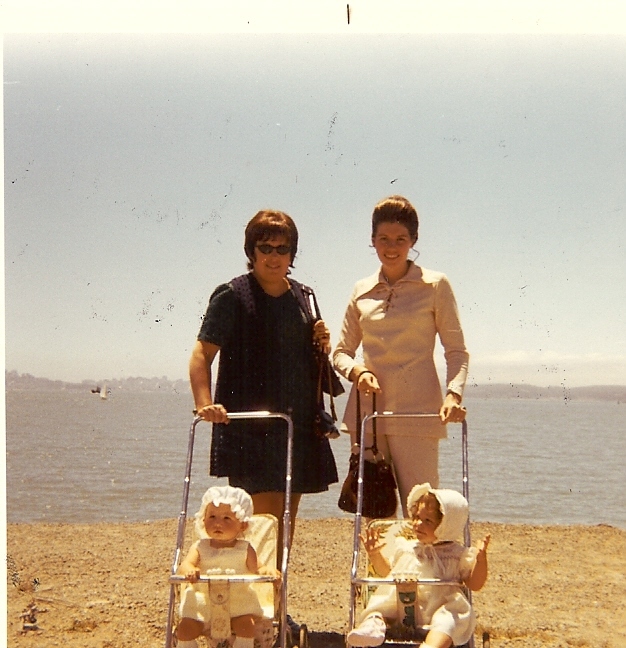 Mom (far right) loved growing up in Oakland and Alameda when she was young! 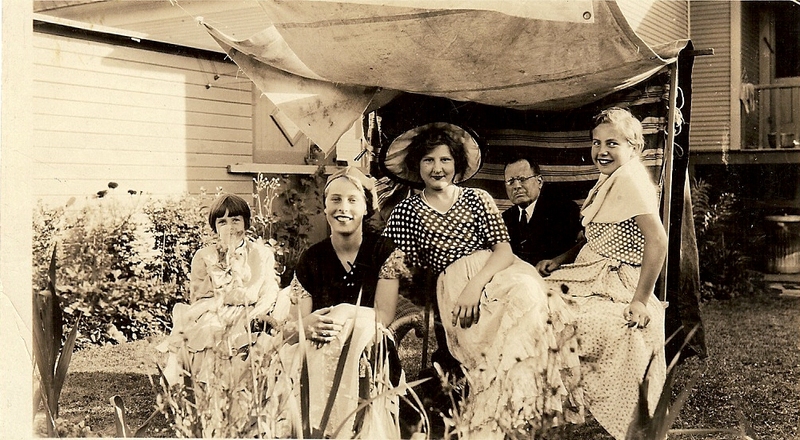 She is playing dress-up with her friends with my great-grandfather Owen in the background. 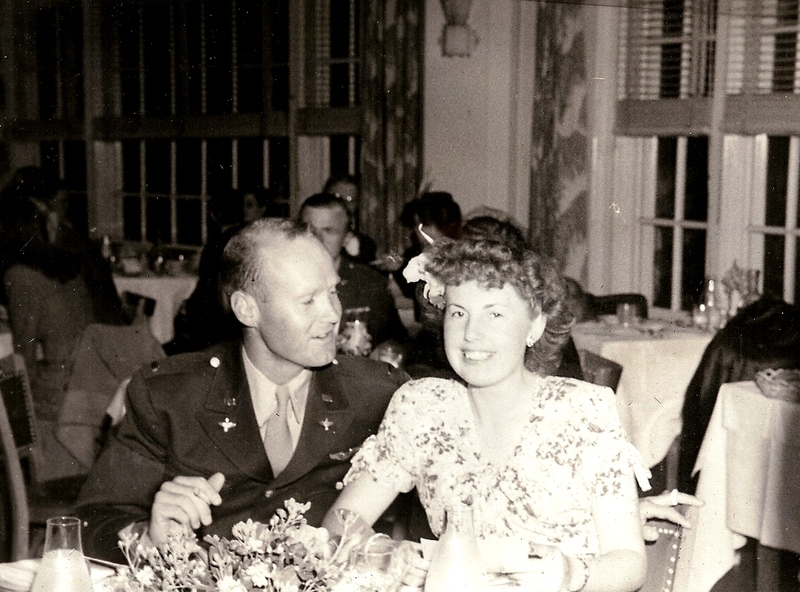 Mom was known internationally for her waffles and buttermilk pancakes! She was also one of the most welcoming persons I've ever known. Two young travelers from England, brothers of Marla's European tour guide in college, called her up and asked if they could come over for her waffles. Mom didn't know them but she checked with Marla and invited them over. That was who she was. 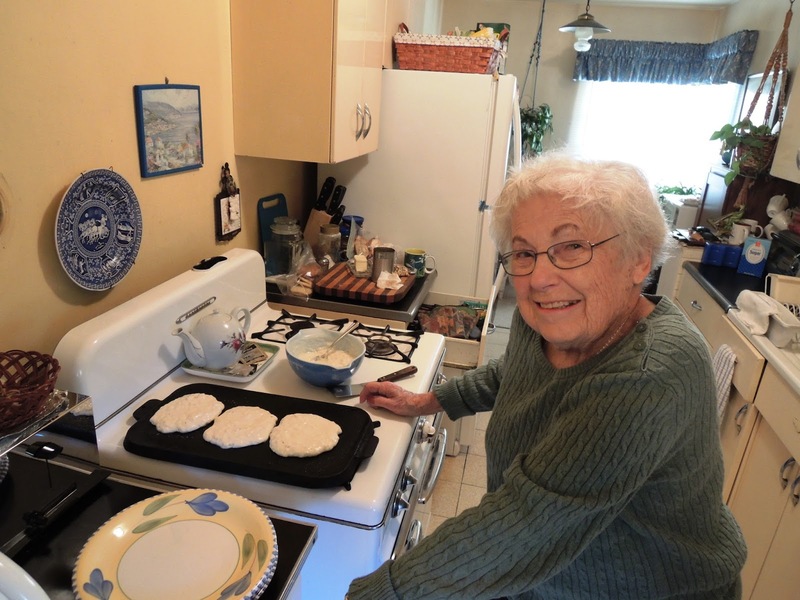 The wonderful smells of bacon and pancakes on the griddle in her kitchen are among my most favorite memories! Our favorite dinners when visiting Mom were ravioli from Genova's! My brother Gary would heartily concur! Mom always talked about searching for the "pot of gold" when she was young. This picture is particularly poignant with the rainbow in the distance. Hawaii was without question her favorite place to visit! She loved visiting with Gary's children, Marlena and Kekoa in Hawaii. 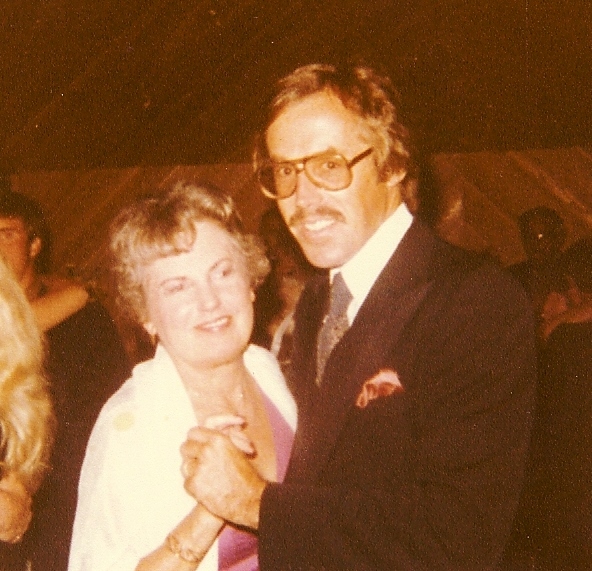 A loving memory of Mom and my dad. He was a pilot in WWII. 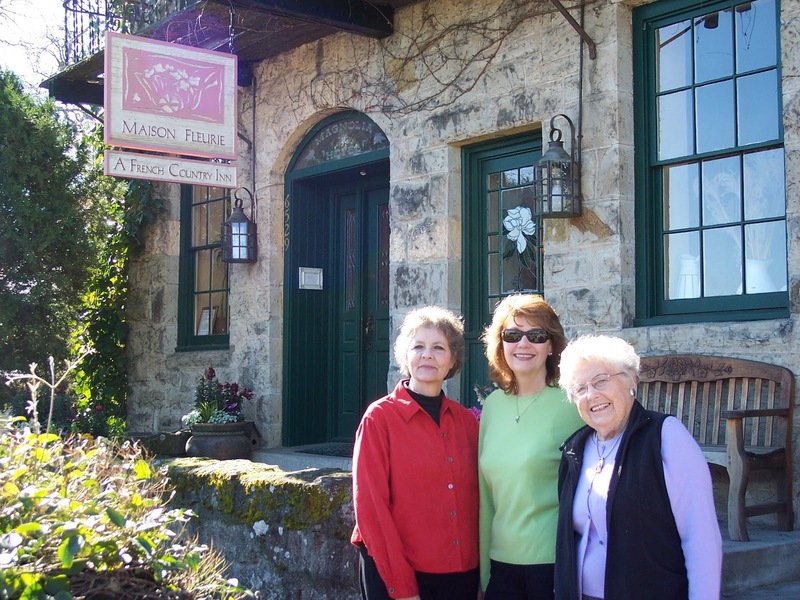 We loved taking trips to Napa Valley with Lea, Marla's good friend since junior high school. Lauren & Kate are sharing a story with Mom and Marla. Samuel P.Taylor Redwood Park in Marin County was a family favorite. 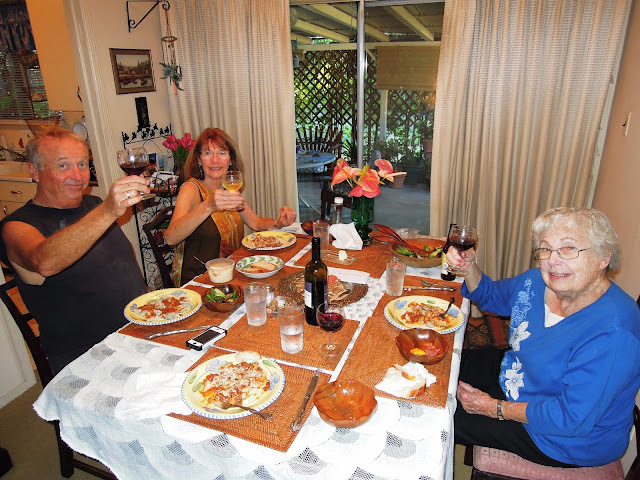 A family luncheon with Mom's niece Cindi, her daughter Gretchen, and sister Shirley. Mom welcomed all to her home. Alex ( our friend from France), wearing glasses on the left, stayed with Mom years ago and was fixed up by Marla with Chris (Ray's best man), now her husband. The rest is beautiful history. A birthday celebration in the backyard of her home of 40 years in Pleasant Hill. She really LOVED a party! The Boys took good care of her! She loved all her family dearly! 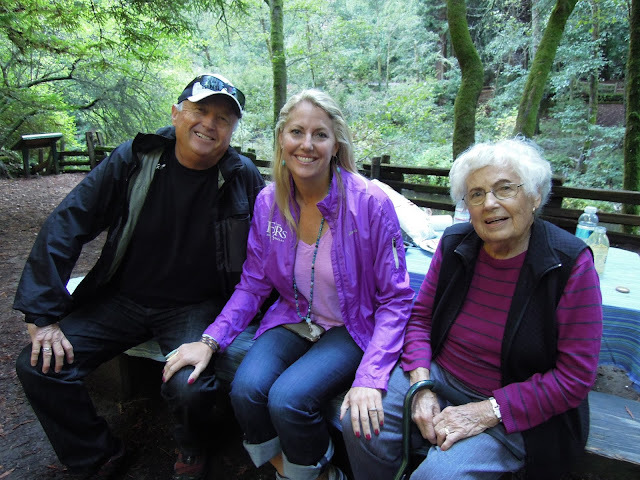 Mom is with great-grandson Vaughan at Muir Woods. Each of our 4 grandsons took trips to see Gigi, learn their family history, and see San Francisco at age 9. She reads to Owen on a trip to Denver one summer. Being near the sea was her favorite! The Boys look at pictures of their special "Gigi" at a Celebration of Life held at Gretchen and Paul's home near Danville. Thank you for letting me share this visual journey with you. SAN FRANCISCO WEEKEND PART 2. THE GLIDE CHURCH, DIM SUM MANIA, DINNER FANTASIQUE. I can't think of a better place for an extra special birthday celebration than in San Francisco. Last Sunday was my birthday and we did what we always do when visiting the Bay Area, we went to The Glide. I may be somewhat of a spiritual tourist at times but attending a service always puts me in a happy and elevated place. The message is one of justice, compassion, equality and inclusivity. The wonderful "Glide Ensemble" and the "Change Band" get you off your feet for some joyful singing and clapping. I always spot visitors from around the world. I highly recommend it for your next San Francisco trip. We left the gritty tenderloin district for Market Street passing the famous John's Grill on Ellis Street. 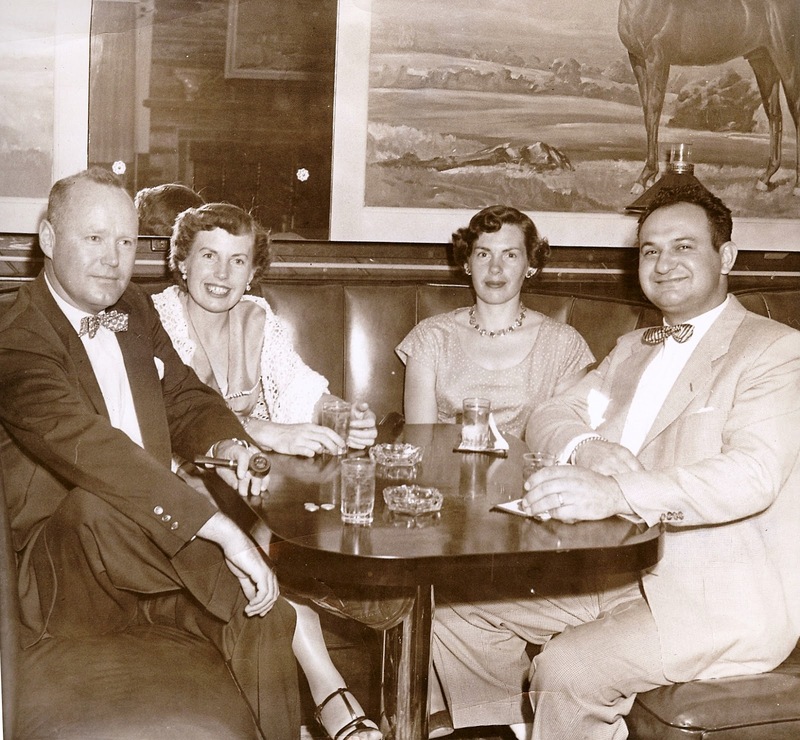 The almost 110 year-old restaurant was a setting for author Dashiell Hammett's 1929 novel, The Maltese Falcon. The 1941 film of the same name is on my very favorite list. Can't you almost envisage Humphrey Bogart as Sam Spade walking these streets? Market Street was busy with visitors on this beautiful day. The "Hobart Building" and it's classic revival style built in 1914 proudly stands out next to its boring modern neighbors. Our destination for lunch was Yank Sing on Stevenson Street for their amazingly delicious Dim Sum. Carts filled with Dim Sum delicacies constantly pass your table. They all look irrestible but restraint is needed as your bill can be very expensive! Pictured above is their famous "Shanghai Dumpling and it is fabulous! A short walk away from Yank Sing is the famous Palace Hotel on New Montgomery Street. When it opened in 1875 it was billed as the largest and most luxurious hotel in the world. 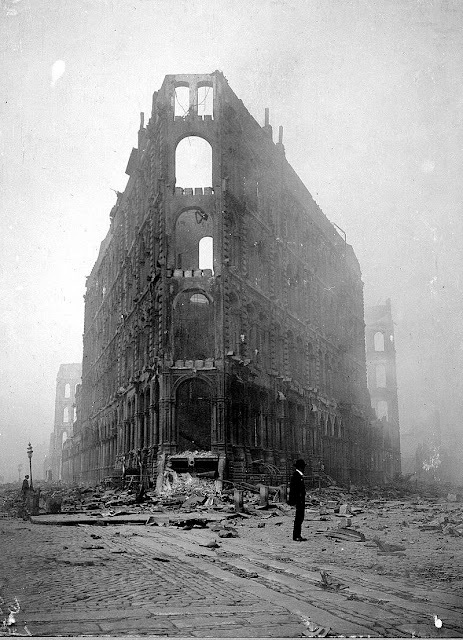 It was rebuilt in 1909 after the fire from the 1906 earthquake gutted the structure. The "Garden Court" is pictured above where Marla really enojoyed the small combo playing "Satin Doll", a favorite song of her father. We felt the spirit of a cherished friend, Ferol Jenkins, on this 7th anniversary of her passing as she loved this hotel. This is where we should stay our next trip! Walking back Market Street we passed the beautiful "Phelan Building" that is reminescent of New York's "Flatiron" building. The Phelan Building was badly damaged by the earthquake and fire of 1906 and rebuilt in 1909. 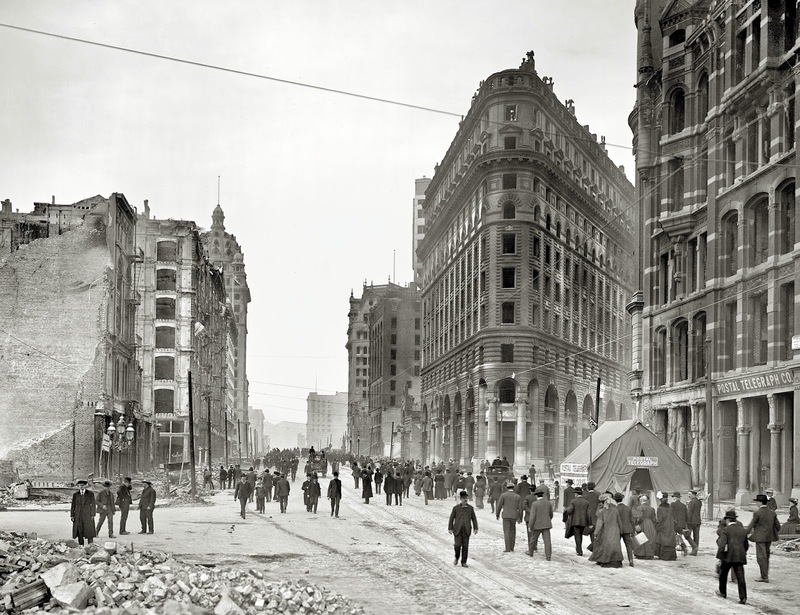 Market Street after the earthquake and fire. 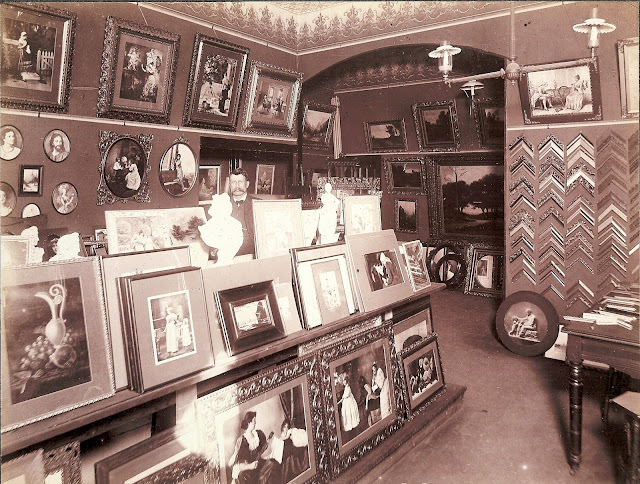 This was my great grandfather's art gallery and framing shop on 4th street off of Market Street in 1905. Owen Boe is in the center of the image with the great mustache. The earthquake destroyed the building and he was forced to borrow a horse drawn cart to take his inventory across the bay to Oakland by ferry. He eventually reestablished his business on San Pablo Avenue in Oakland. He often painted with his friend and fellow Norwegian artist, Carl Jonnevold, a realist style painter of note. 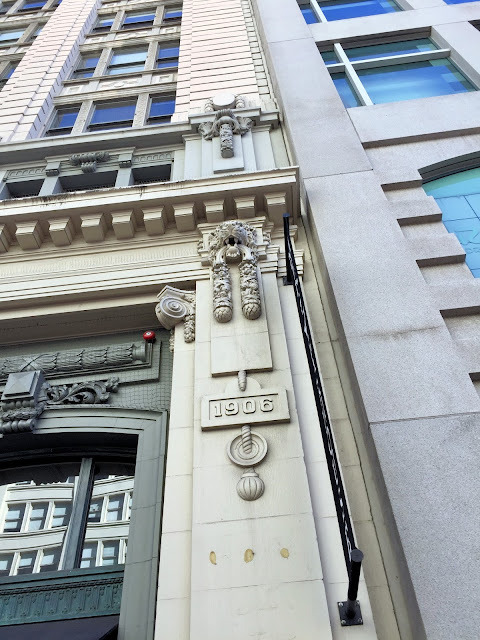 I looked up at this building on Market and saw the prophetic "1906." We noticed a crowd lining up to for opening day of "IPPUDO" restaurant on Yerba Buena Lane. They are famous for their ramen dishes. A representative from the Japanese based restaurant came out to talk to Marla about the company. The famous "Hearst Building" is at 3rd and Market. Built in 1911 by William Randolph Hearst, he established the largest newspaper and magazine empire in the world. Citizen Kane, 1941 quasi-biographical movie directed by Orson Wells, was based in part on the life of William Randolph Hearst. The infamous Patty Hearst is his granddaughter. Westfield San Francisco Centre was our next stop for some shopping. Marla and I were both very impressed with the layout and merchandising of Bloomingdales in Westfield. Many people were lined up at the Powell Street Cable Car turnaround to take a ride. Gary Danko was my choice for a birthday dinner splurge. We ordered Kir Royales at the bar while our table was being prepared. I can't say enough superlatives about this restaurant from their polished staff to the amazing cuisine. We found it fabulous from start to finish and highly recommended! Their corkage was a hefty $50 for the bottle of Nickel & Nickel cabernet I brought from home. They have one of the greatest wine lists in the country! 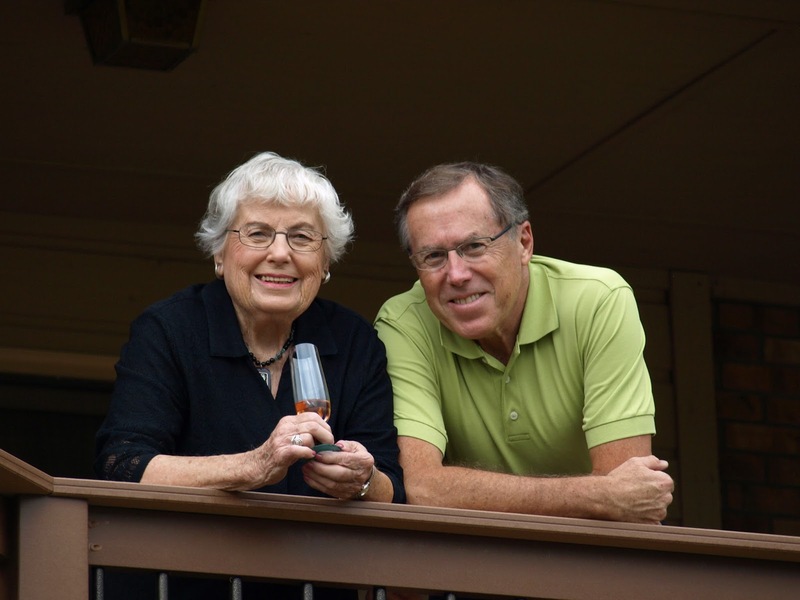 Click on the link for a look at their wines. 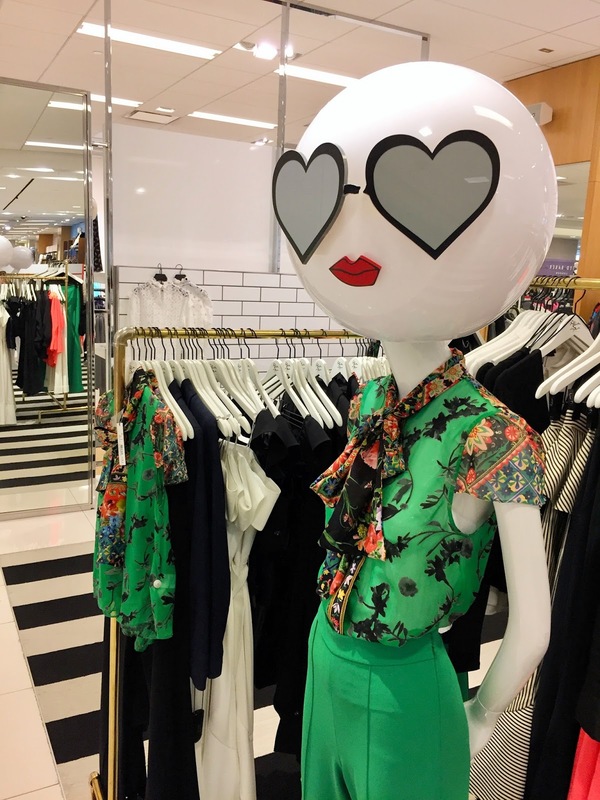 Their head sommelier is very knowledgeable! My favorite dish on my 5-course tasting menu was the Seared Filet of Beef with Potato Gnocchi, Olive Oil, Swiss Chard and Stilton Butter. Deelish! A certified cheese expert brought out a sensational cart of cheese from around the world. I asked him to make an assortment for us and it was sublime! We shared four desserts between us! I began with the dessert on the menu, Roasted Pears with Gingerbread and Nutmeg Ice Cream while Marla enjoyed the Grand Marnier Soufflé with Blood Orange Sorbet and Two Sauces. Then they brought out more sweet treats for us and a birthday cake. I am very proud to say we actually ate EVERYTHING! 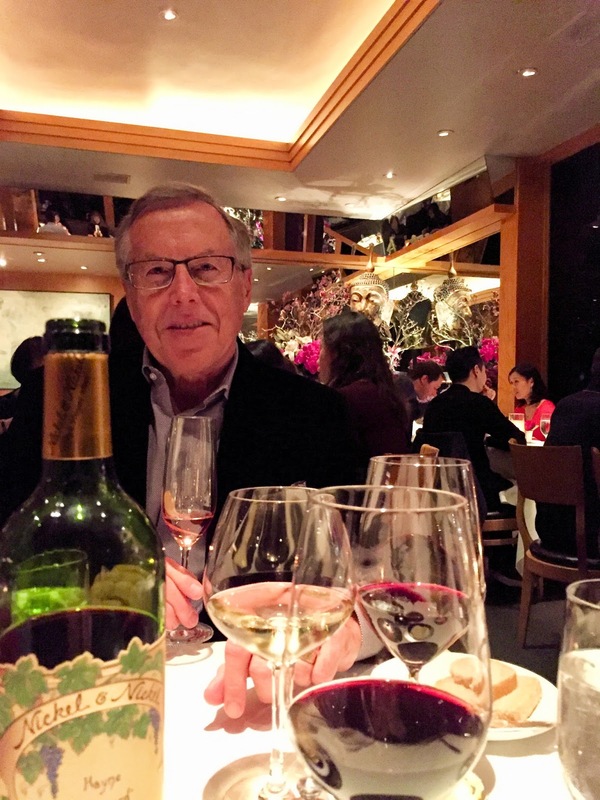 We love old-school dining for special occasions and Gary Danko checked every box for us! They even do a delicious flambéed dessert. I hope you enjoyed our San Francisco weekend.